Being a member of the Rose Society of Tucson will allow you to tap into extensive information about growing roses in this rugged climate. Yearly dues are $20 per household. You will receive our fabulous newsletter The Thrip Hater which is edited by Donna Kamper. The publication, which comes out 10 times a year, is filled with news, rose gardening tips, and other nuggets which will allow you to fully enjoy your hobby. To see a sample of our newsletter, CLICK HERE. Plus, you can come to Rose Society meetings at the Tucson Botanical Gardens the first Tuesday of every month at 7 PM (except July and August) and listen to special speakers and obtain more information. 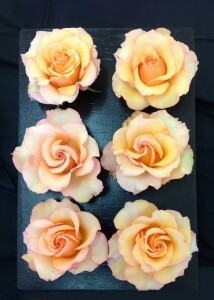 We also have an annual Rose show in April which draws exhibitors from around Arizona. Please fill out the form below. Make a check for $20 payable to the Rose Society of Tucson and mail it to our treasurer Judy Singer at: 1631 E. Calle Altivo, Tucson, AZ 85718.